CSUN Homecoming is Saturday, Feb. 11. Tickets are available now at www.csun.edu/homecoming. Founders' Day will be the kickoff of Homecoming. The Classes of 1966 and 1967 will be inducted into CSUN's 50-Year Club. Photo by Lee Choo. 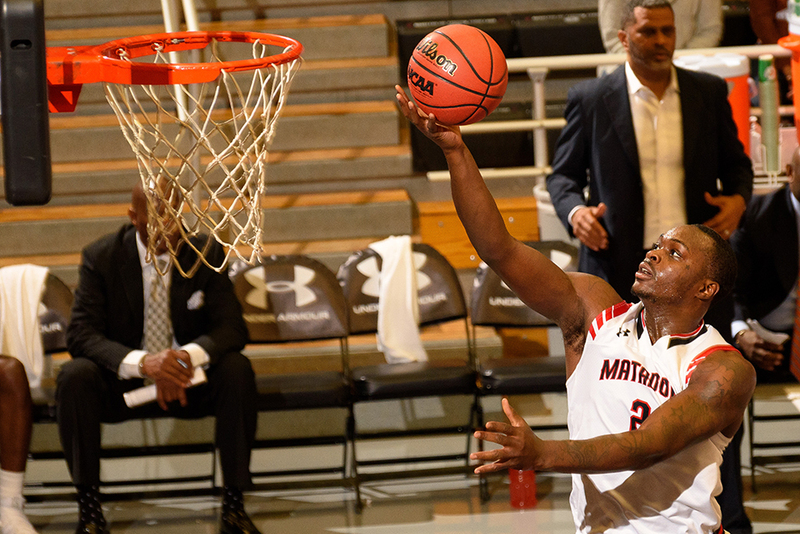 The final event of Homecoming will be the CSUN men's basketball game, where the Matadors will host UC Santa Barbara at 7:30 p.m. in a Big West battle at the Matadome. 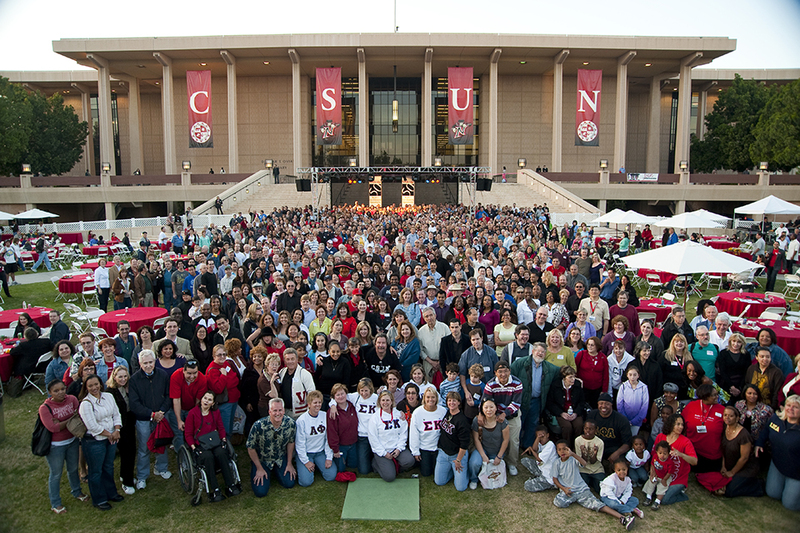 Homecoming is the biggest celebration of CSUN alumni since the university's Grand Reunion in 2009. 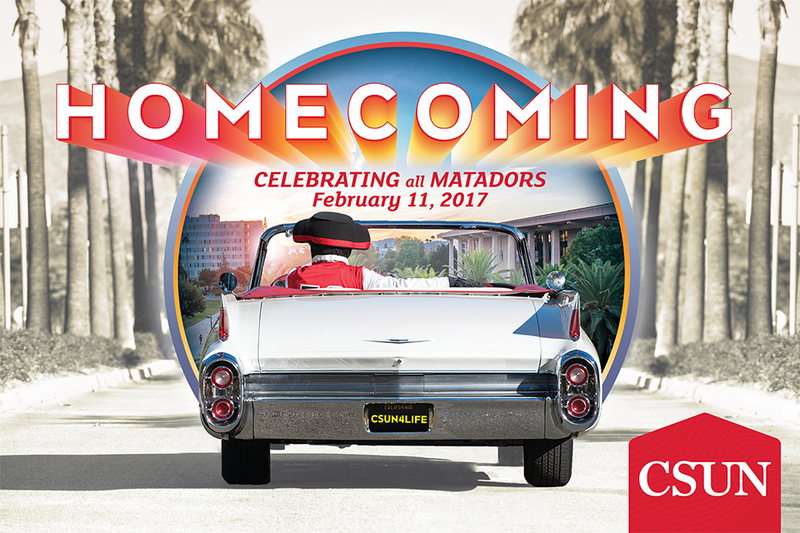 California State University, Northridge invites all Matadors to come home on Saturday, Feb. 11. Homecoming, the biggest celebration of CSUN alumni since the 50th anniversary Grand Reunion in 2009, will throw the spotlight on the university and all the people who have helped it become one of the most important and impactful universities in the region, state and beyond. Tickets are available at www.csun.edu/homecoming. The day’s activities include CSUN’s annual Founders’ Day Luncheon — marking the 50-year anniversaries for San Fernando Valley State College Classes of 1966 and 1967 and faculty who started at the university in the same era — as well as pinewood derby races at the “Matador Motorway,” a barbecue, a CSUN men’s basketball game and more. While most of the action will take place inside CSUN’s University Student Union, tours, showcases and numerous other events offer opportunities to explore the rest of the campus. 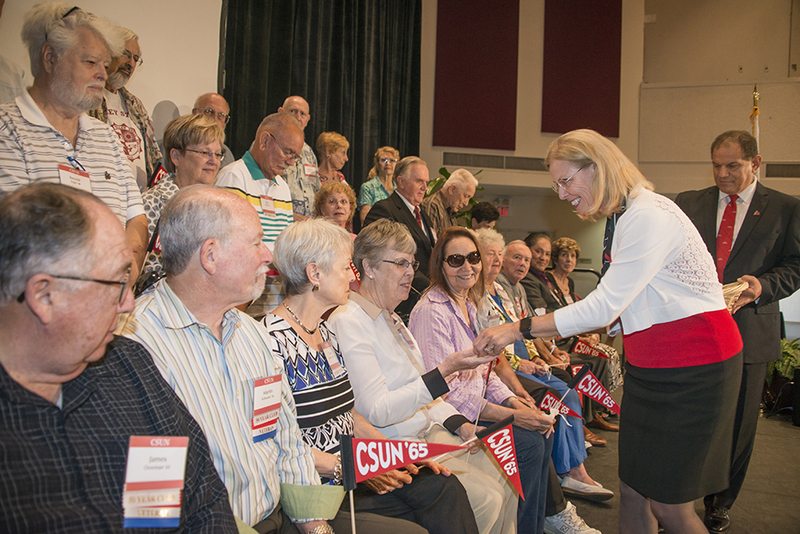 At this invite-only event, Matadors from the classes of 1966 and 1967 will enjoy a lunch at which CSUN President Dianne F. Harrison will present them a special pin to commemorate their milestone. Valley Staters also are encouraged to donate to the traditional 50th Reunion Class Gift, where they can impact the university and its students for years to come. As part of the admission price of $35, attendees will receive a full meal, which will include a main item, two sides, beverages (non-alcoholic) and special Matador desserts. Meet up with your former classmates to grab a beer, courtesy of San Fernando Valley-based 8One8 Brewery, which will be sold in front of the Mainstage in the USU. Compete in pinewood derby races on the biggest track ever constructed by manufacturer Derby Tracks. Cars can be purchased now, or on the day of the event. Proceeds benefit the MataCare Fund, which helps students who need short-term financial support. Participants can cheer on their cars as they race through championship heats, or vote in the “showroom” for the best-decorated vehicle from student clubs and organizations. Prizes include gift cards to the Northridge Fashion Center. Enjoy performances from a variety of CSUN student talent. CSUN’s Pub Sports Grill, inside the University Student Union, will be the site of a memorabilia display featuring videos and historical CSUN photos. There will be a special section for Founders’ Day attendees, celebrating the Classes of 1966 and 1967. Participants can take commemorative photos with friends and Matty the Matador at a school spirit-themed photo booth in the University Student Union. “Full and Part (one),” opens Feb. 11 and will run through March 18. It features artwork made by full- and part-time faculty from CSUN’s Department of Art and will be shown at the CSUN Art Galleries. Working in three dimensions, the nine artists showcase their most current bodies of work. Future Matadors can play on inflatables from CSUN Athletics, glide down an inflatable slide, get creative in the craft corner and sign up for the Matadors Kids Club. CSUN’s civil engineering department will display some of its students’ innovative projects, including a steel bridge and concrete canoe. CSUN students also will be demonstrating their award-winning apps. Participants can dive into virtual and augmented reality, and experience how this technology is being used in today’s classrooms. Participants can check out CSUN’s new student housing, acclaimed Valley Performing Arts Center, ultra-modern Student Recreation Center, relaxing Oasis Wellness Center or such campus landmarks such as the Oviatt Library and the Marilyn Magaram Center for Food Science, Nutrition and Dietetics. They also can learn about student resources available in the Veterans Resource Center and PRIDE Center, which will open their doors to all comers. Homecoming participants will also get a chance to reconnect with former classmates and faculty. Mini-reunions are set for: kinesiology, American Association of Civil Engineers, journalism, accounting and information systems, TAKE, Associated Students, housing, University Student Union, Matador Motorsports, recreation and tourism management/leisure studies, Greek life, National Center on Deafness, psychology and art. Those Interested in reconnecting with their group or department can email homecoming@csun.edu to set up a reunion. CSUN Athletic Director Brandon Martin, Spirit Teams and the Matador Band will get fans fired up for CSUN Athletics and lead the way to the Matadome for the men’s basketball game where the Matadors take on Big West rival UC Santa Barbara.